Chocolate, chocolate, chocolate. The sweet, decadent choice which somehow has total control over me. No matter how much self-talk or inner strength I try and muster, put it in front of me and I lose all discipline. It will be devoured, totally and utterly devoured in minutes. I have come to adore the Mad Millie Raw Cacao Chocolate because even though I know it’s still sugar and butter, it’s the good stuff. If I’m going to indulge, at least I know it’s as good as it can get, organic coconut sugar, raw organic cacao butter and raw organic cacao powder. There are certainly a lot fewer ingredients and significantly more benefits in the homemade stuff than the bar on the shelf, wrapped in foil and colourful paper, that calls my name every time I’m at the supermarket. 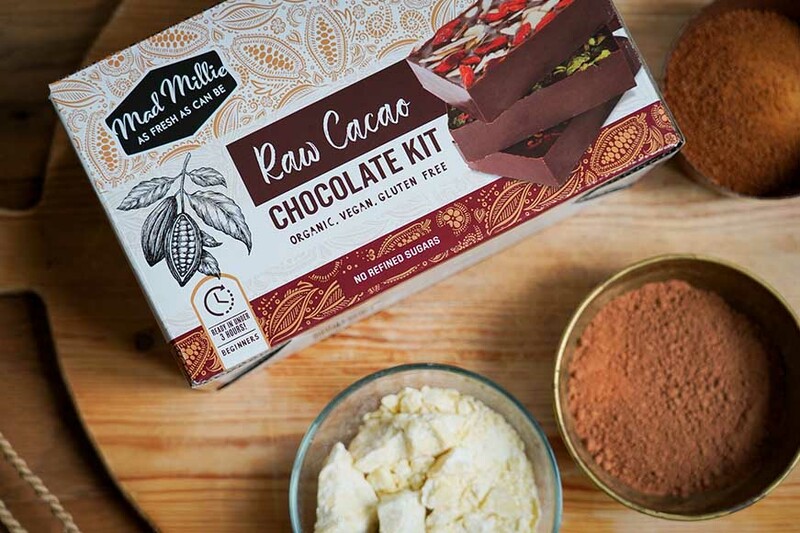 As part of our Christmas inspiration for homemade gifts we, of course, had to have a play with the Raw Cacao Chocolate kit, it would be rude not to. Some of our favourites were the classics, detailed below and made with ingredients that you will likely have in your pantry or are easily accessible on the supermarket shelves. Make up your Mad Mille Raw Cacao Chocolate, dark or mylk/milk according to your preference. Literally, the best thing to put on sliced bread (according to me), particularly one of the really good quality, chunky ones with only peanuts. Grab your favourite peanut/nut butter (flavoured or unflavoured, the choice is yours) and dollop a couple of big teaspoons into the bar. Use the other end of the spoon to swirl it around a bit and then return to the fridge to set. I am a sucker for texture, crackers, chips; anything crunchy will have me reaching back for more. Pretzels were a winner as they don’t go soggy with the chocolate and the salt gives a nice contrast to the bitterness of the dark chocolate. 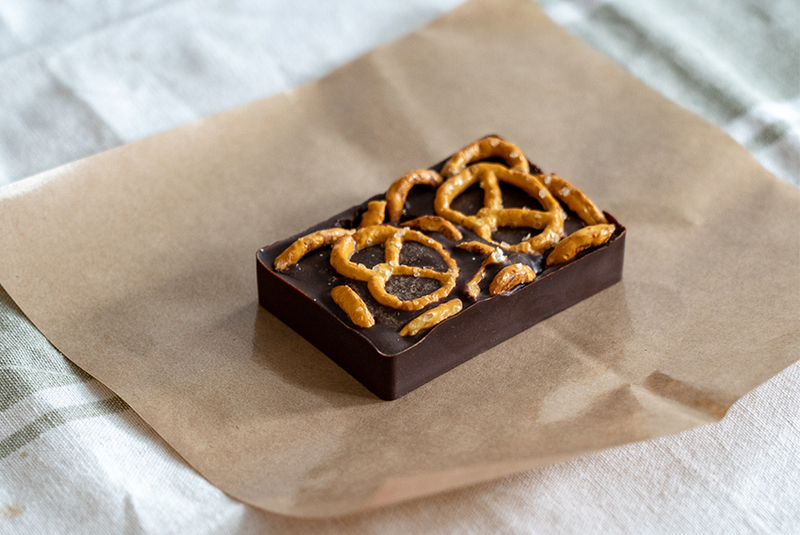 Break up some pretzels and drop them into the chocolate mould, if they don’t sink as the chocolate has set a bit much, just push them in. You want to make sure they are all the way through the bar. Decorate with some whole pretzels on top. The classic; need I say more. 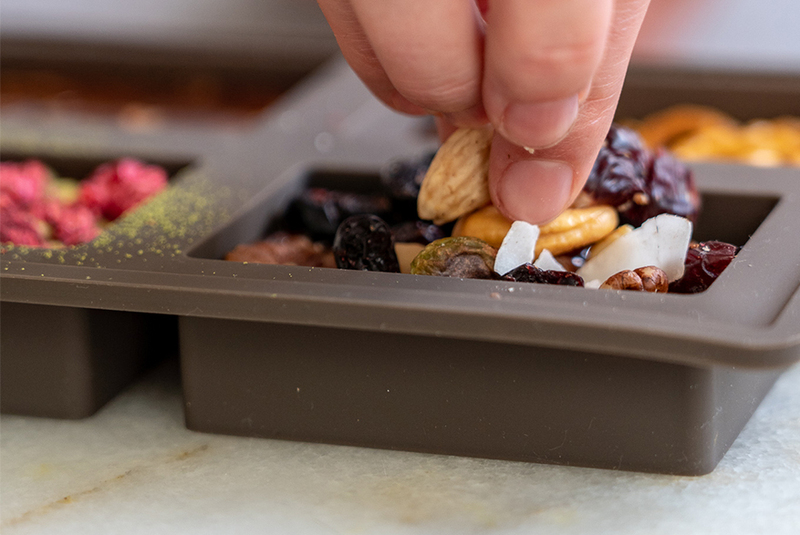 Get your favourite mixed fruit and nuts from the supermarket and go for it. Add these after only 20mins hardening time, as you want the fruit and nuts to be properly dispersed throughout. A little bit of shopping may be required for this one. 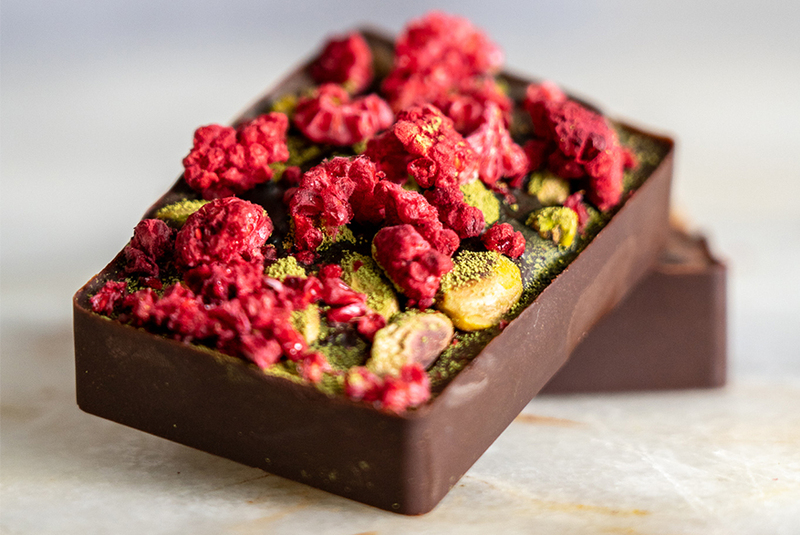 The combination of pistachios and raspberries is always a winner and worth the effort of finding some tangy freeze dried raspberries. If you can get your hands on some matcha tea the earthy notes give it a delicious point of difference but it's still tasty without it. Plus the festive colours are perfect for this time of year! The above recipes are great fun to make and taste delicious. 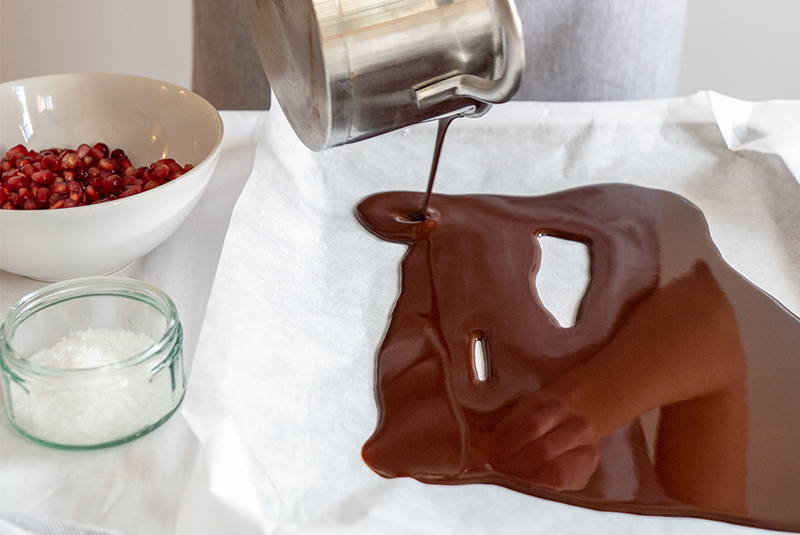 It’s not particularly hard to be inspired by chocolate, what can be hard though is coming up with something a little different, something a little Mad… just like Millie. So, we got creative. 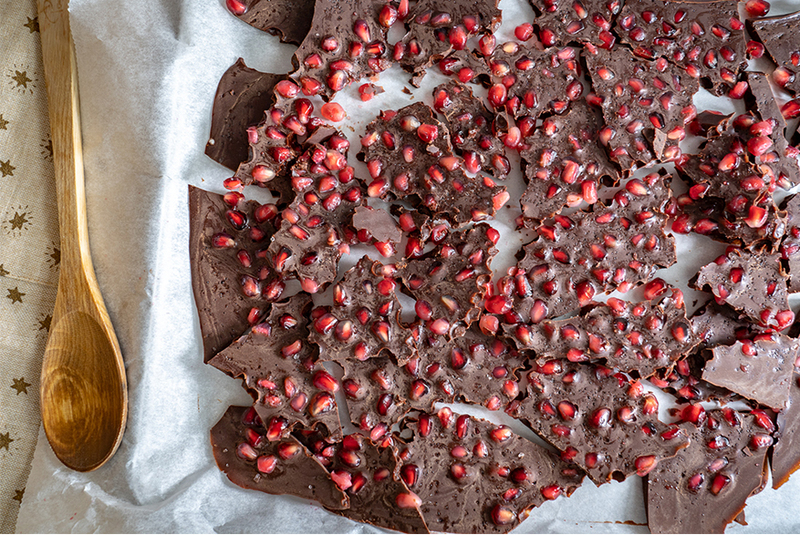 Who knew that the fresh, juicy pop of pomegranate seeds combined with the bitterness of dark raw chocolate and a pinch of salt could be so divine? Ridiculously easy to make, it looks a little different and piques the curiosity, plus it tastes so good. - Follow your recipe to make Dark Raw Cacao Chocolate (Mad Millie Recipe here). The recipe makes 4 bars so fill two of the bar moulds with chocolate and keep the remainder for this recipe. 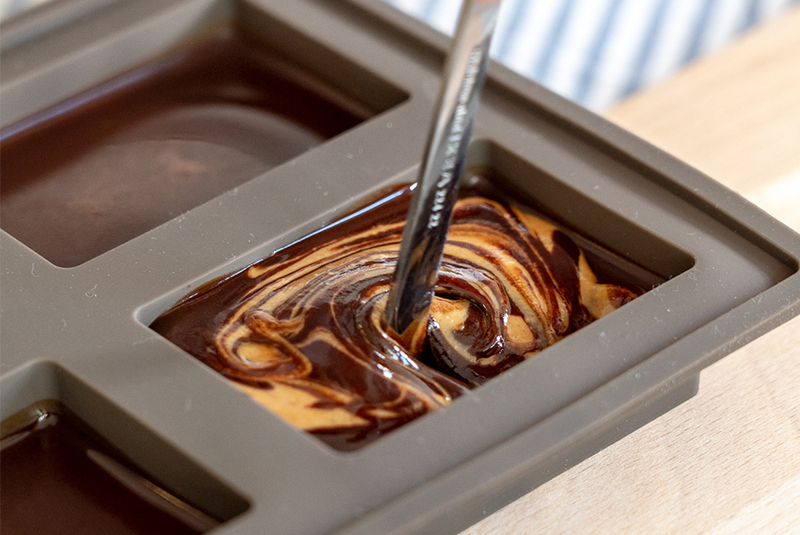 - Line a baking tray with non-stick baking paper and gently pour the chocolate over the tray, ensuring you move the pot back and forth to get an even spread. 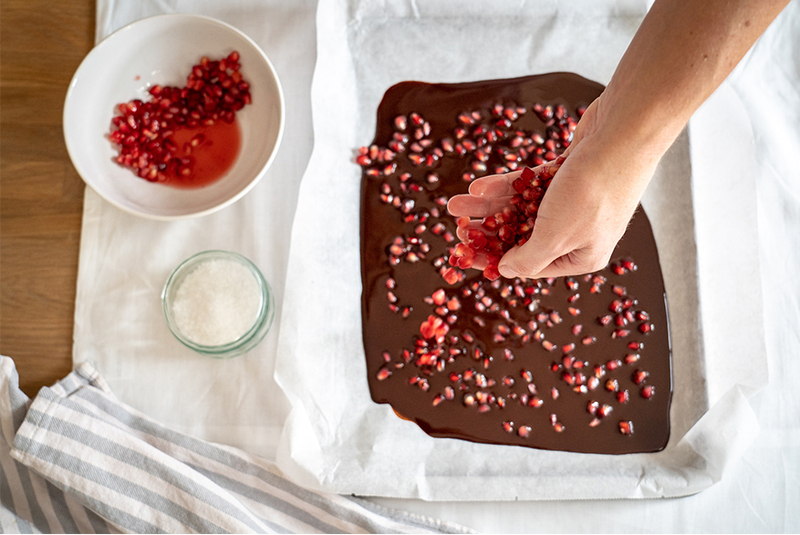 - Sprinkle the fresh pomegranate seeds over the chocolate. - Place the tray in the fridge to set for 20mins, this will stop the salt from sinking straight into the melted chocolate. - Remove from the fridge and sprinkle the sea salt over the chocolate. - Replace in the fridge until set, once set break into pieces and enjoy!